In December 2015, two community based coalitions merged their collective strength to work toward this mission: The Healthy Southeast Coalition convenes partners and advocates for increased access and opportunities for those who have barriers to healthy eating and active living within Bayview Hunters Point; through advocacy, capacity building and collaboration. The Southeast Food Access Coalition, established in 2007 and the Bayview HEAL Zone, established in 2010, brought their collective focus and strengths together. They have named themselves Healthy Southeast and are currently led by Frank Martinez (BMAGIC) and Monique LeSarre (Rafiki Coalition for Health and Wellness). 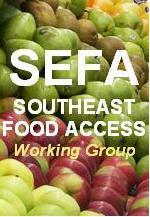 The Southeast Food Access (SEFA) Coalition evolved out of the April 2006 Shape Up San Francisco Summit where community food justice organizations and city agencies identified the need for regular communication among all entities working on food issues in the BVHP. SEFA thrived under the leadership of Michael Janis, General Manager Wholesale Produce Market, who served in co-chair role for nine years, and was joined by Mark Ghaly, MD, Southeast Health Center, and Jacob Moody of BVHP Foundation along the way. DPH has staffed SEFA since inception. 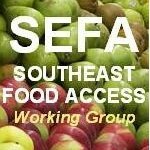 SEFA was a collaborative of residents, community based organizations, city agencies, and others working on food access and food systems. SEFA’s worked to leverage similar efforts and encourage partnerships and collaboration in order to achieve a vibrant and robust food system for all in Bayview Hunters Point (BVHP). As such, SEFA identified three pillars integral to a robust food system and which guided work: Food Access, Awareness/Education, and Urban Agriculture. The Bayview HEAL Zone was a community project funded by Kaiser Permanente and built on the strong work of SEFA. The HEAL Zone was ably guided by residents Lottie Titus, City of Dreams, for two year and Roberto Vargas, UCSF, for four years. HEAL stands for Healthy Eating Active Living, and the goal of the project was to work with the Bayview Hunters Point (BVHP) community to create long term, sustainable changes so that make healthy eating and physical activity accessible for BVHP residents, particularly African Americans who suffer disproportionately from chronic diseases. The HEAL Zone partnered with different organizations and businesses in the Bayview Hunters Point. The two entities have worked to address food access issues; and were the main players that launched the healthy retail store conversion efforts in San Francisco. Both collaboratives have many successes to look back on. Here are some highlights. As a combined force, Healthy Southeast looks forward to continuing to make visible and long lasting change that will support residents’ access to healthy eating and physical activity. For more information, please contact Christina Goette.